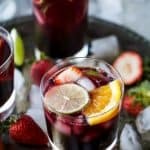 Strawberry Summer Sangria an easy light refreshing cocktail you’ll want around this summer! 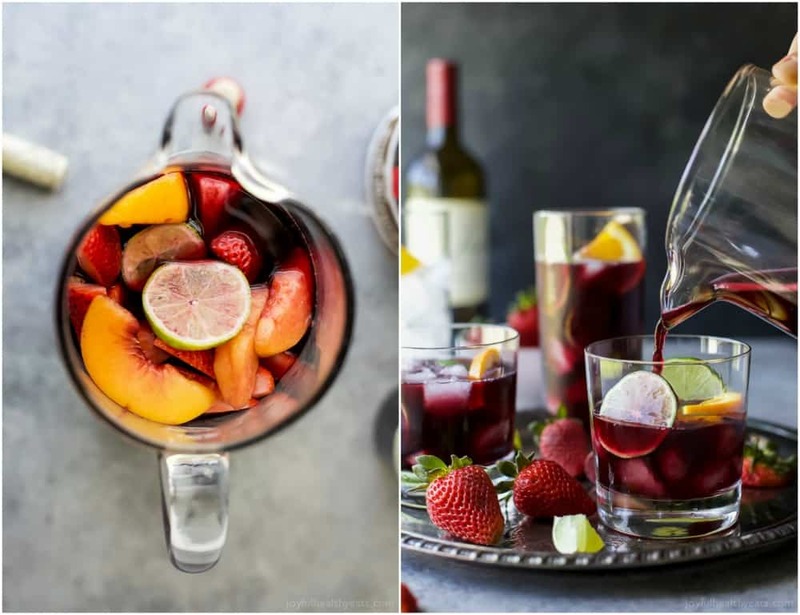 Strawberry Summer Sangria filled with fresh strawberries, peaches and loads of citrus! 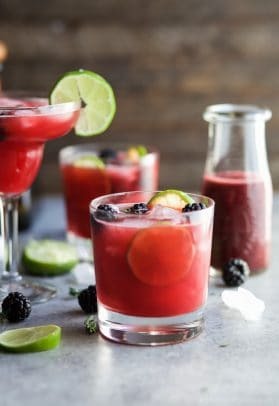 This Summer Sangria served over ice is a light refreshing cocktail you’ll want around at your next party! One of the things I missed the most while I was pregnant was wine. The funny thing is it’s not like I had it every night when I wasn’t pregnant. I think it was more the idea of being told I couldn’t have it, made me want it more. Does anyone else’s mind work like that? A couple years ago I would get headaches after drinking wine, specifically red wines. I would usually stick to the really sweet wines – like Moscato or Riesling. But then a good friend of ours, who is a frequent visitor to Napa, introduced me to a GOOD red wine and I haven’t looked back! In fact, I’d venture to say that I’m more of a red girl than a white. Although, I do like a good Rosè especially in the summer! 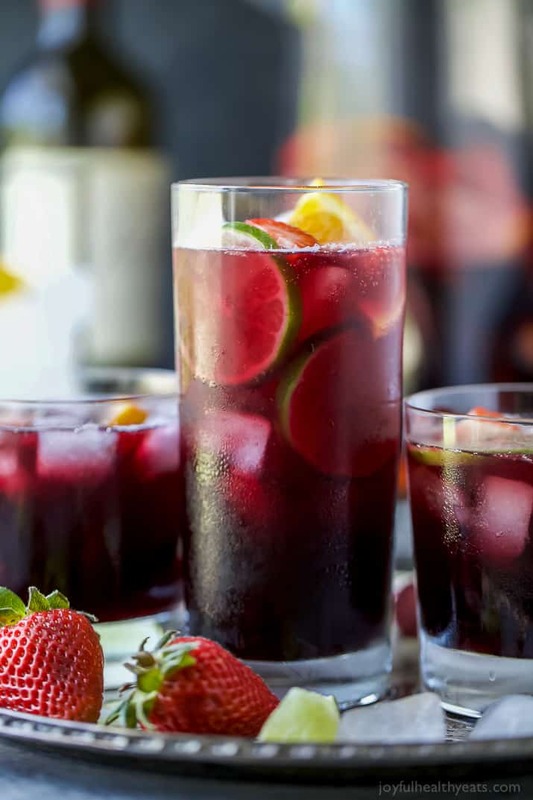 But todays’ recipe is all about Sangria. 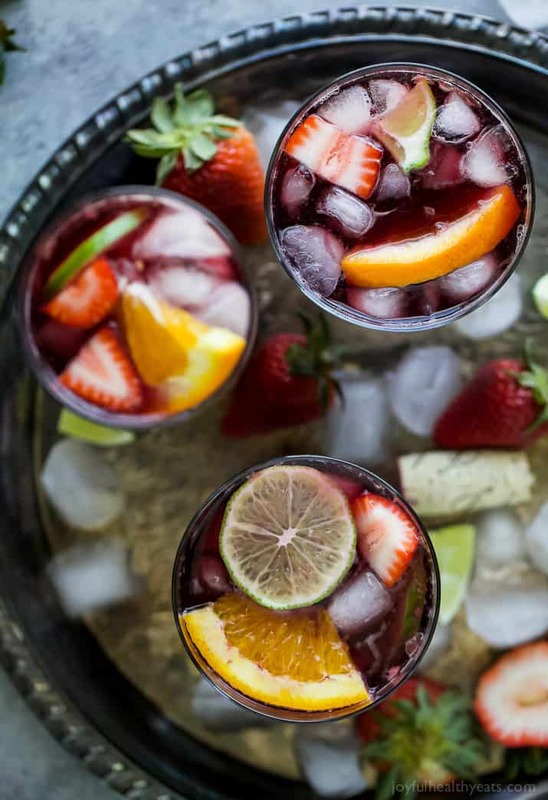 A classic sangria usually has brandy, sugar, oranges and limes. It marinades overnight and really soaks up all the flavor. It’s flipping delicious. 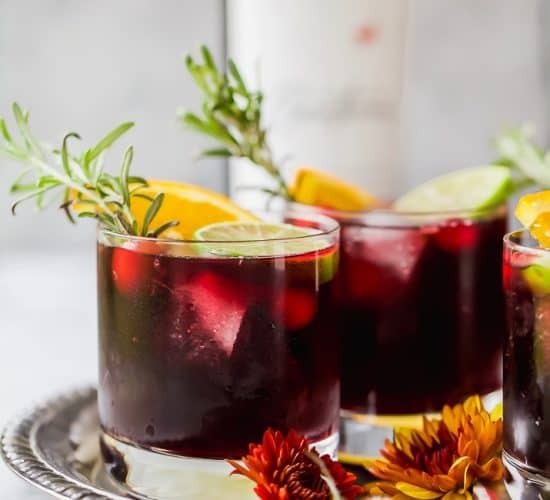 What I love about Sangria is it’s so versatile. 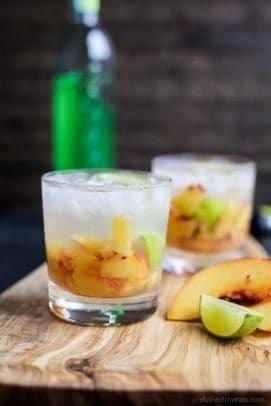 You can add just about any fruit you’d like, sub different liquors for the brandy, add juice or seltzer water and you’ll almost always end up with a delicious product. The last time I made Sangria it was all about Citrus and I used White Wine. It was super light and refreshing. But today we are all about those berries, more specifically those Strawberries. 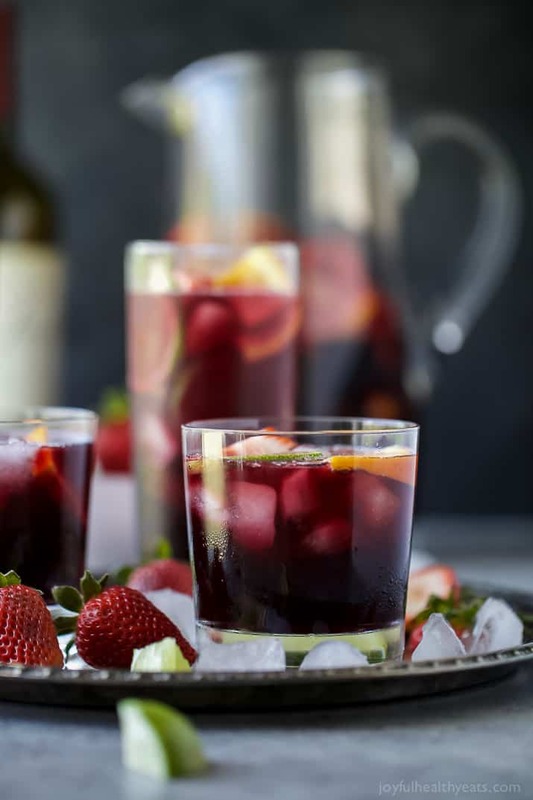 This Sangria is loaded with fresh strawberries and peaches. Just make sure to save a few fresh ones to top your drink with afterwards. But don’t throw out the ones that have been soaking all night, they are loaded with all the sangria flavor. It’s honestly my favorite part. Gimme all the wine soaked fruit. Yes please! This recipe can be made a day or two ahead of time, in fact it’s better if you let it sit overnight. 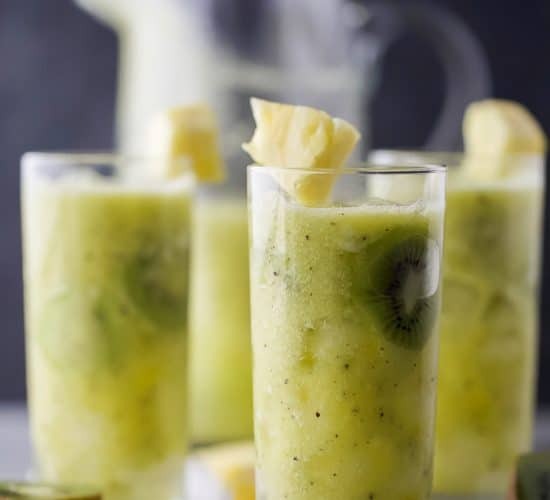 Top it with seltzer water and then serve it over from ice for a cool refreshing treat this summer! It’ll be a staple by us, especially when the kids are going crazy outside. Just sayin. Momma needs a little sangria to stay sane! Right before serving, add in the club soda. 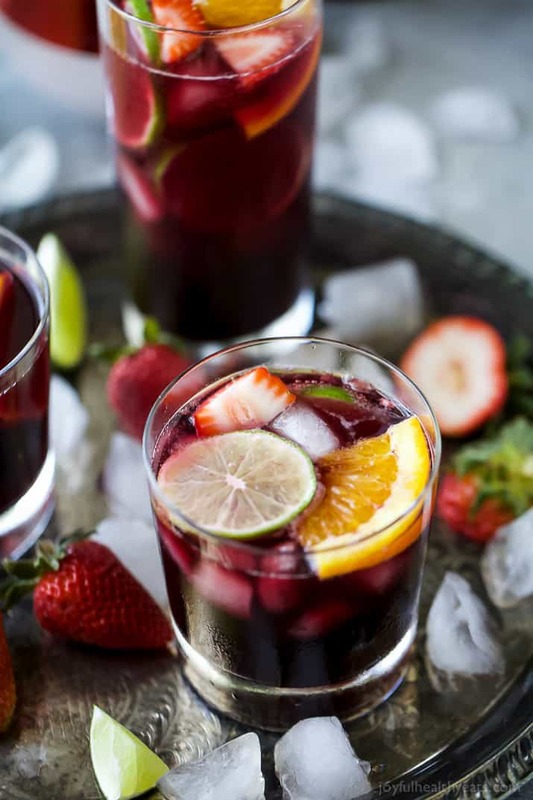 Stir the sangria around one more time and serve over ice. 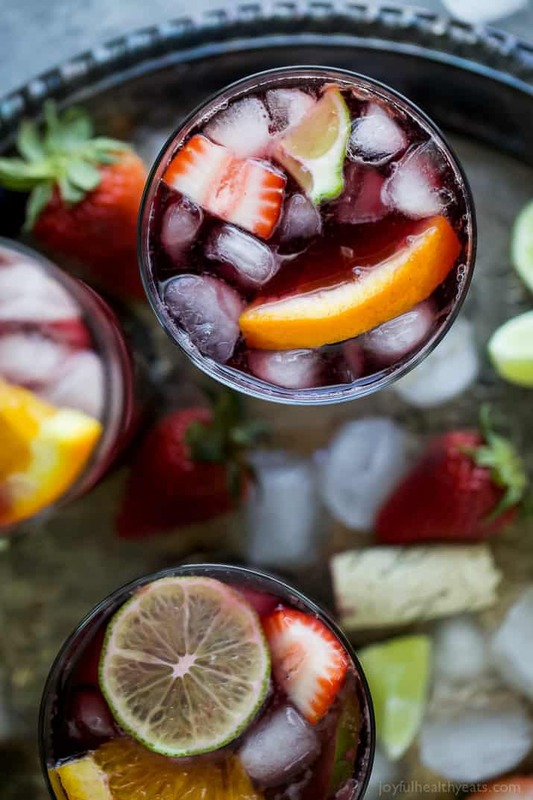 Sangria is one of my most favorite summer drinks. 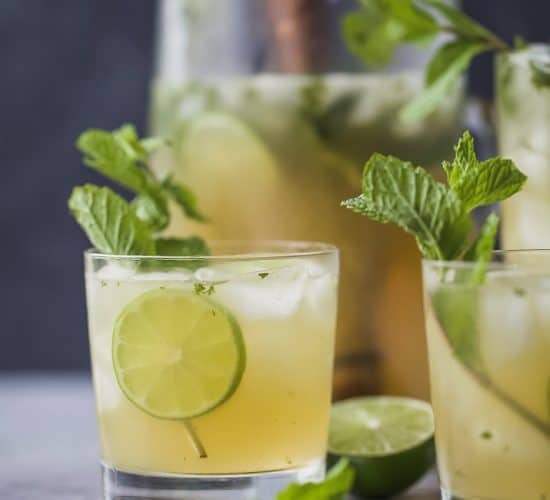 This one is light and refreshing and going on my must-make list this summer. 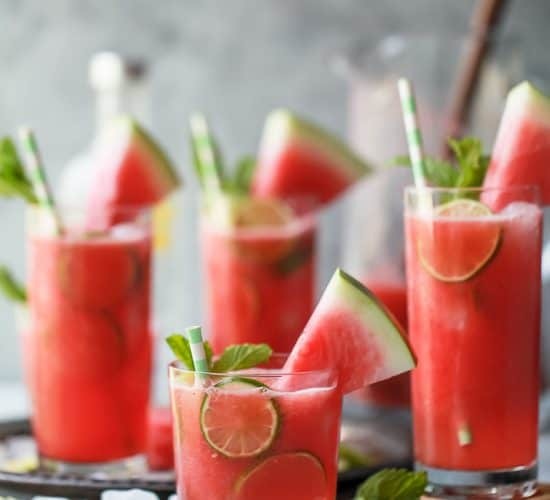 This sounds so refreshing for summer! Bursting with flavors! 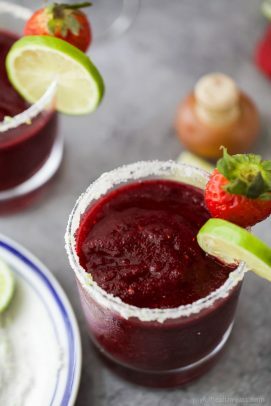 Sounds like the perfect summer cocktail! It’s like summer in a glass! So tasty! 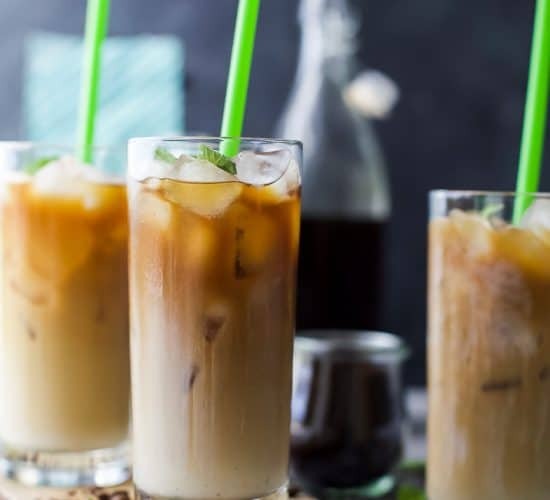 One of my favorite drinks especially for the summer!! This is such a gorgeous drink! 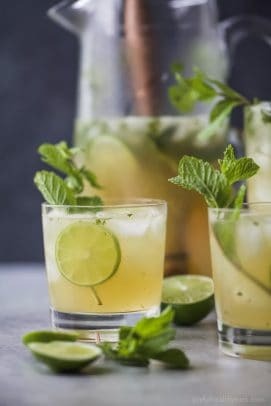 Would be a staple cocktail for summer parties!